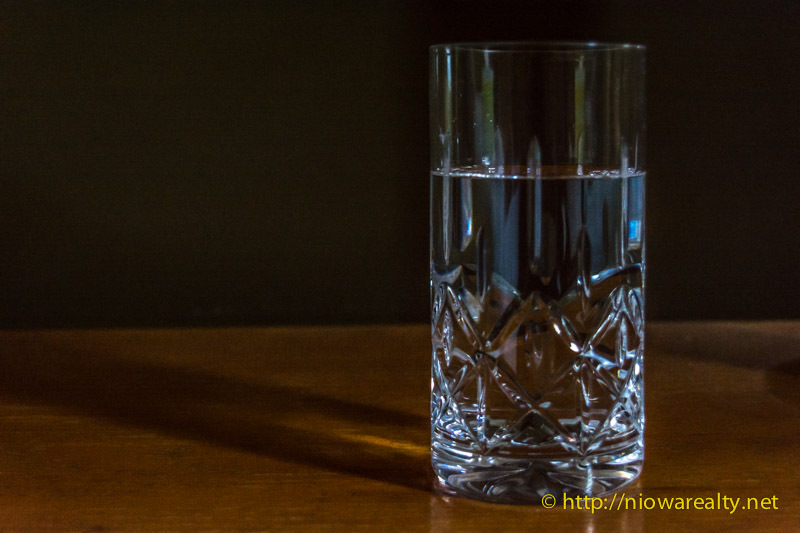 Share the post "A Glass of Water"
The hectic last days of the month remind me when I was working in the accounting department of a bank so terribly many years ago. It was always the last and first days of the month that were hectic and everyone had to pull together and get things done because of the extra volume as well as the extra reports that had to be created. Preparation as well as team work was a must. Some of those very people with whom I worked during those years have mentioned how they believe their jobs were likely the best that they had due to the camaraderie that was shown to each other on a daily basis. Yes, there were difficult times due to personality differences but for the most part each employee knew their place as well as their boundaries. In today’s world we find a much different work environment. It appears narcissism is running rampant where there seems to be a careless regard of the feelings of others as well as the desire to be a nose or two ahead. We even see it in sports where loosing teams get ugly as well as the crowds of spectators. Everyone wants to know all the tricks to winning, but rarely does anyone want to learn how to accept loosing and grow from that loss. I had to laugh to myself today regarding a donation and challenge I made within my organization. I told one of the people handling it that once I’d made the donation and challenge, it would be a certainty that others would do as much or better because of the competition for attention and acknowledgment. Well, my challenge was met by more than I had considered. At least it was all going towards a good cause. In thinking about the ferocity of competition, I remember some years ago an agent who by the way, isn’t a Realtor any longer, having found out that I was working at selling a home to a daughter of a a long time client of mine. He did absolutely everything he could do to get that buyer away from me and of course succeeded because I refused to cross the lines he did to get her to work with him. Not long after the sale, he gloated over how he managed to take another customer from me. I simply looked at him and said, “Sooner or later, what goes around, comes around.” and walked away. Unfortunately that gentleman has fallen on far tougher times than I would have ever expected. Once long ago and far away a wise old man said to me, “Be careful not to place yourself first above all else, for someday you may be in a position where the world will not even give you a glass of water.” Those words should be remembered by all.